This is a wonderful Magical Mist spray to clean your yoga mat. Every day use makes ugly smells and dirt on your mat. This spray gently cleans and refreshes your mat. 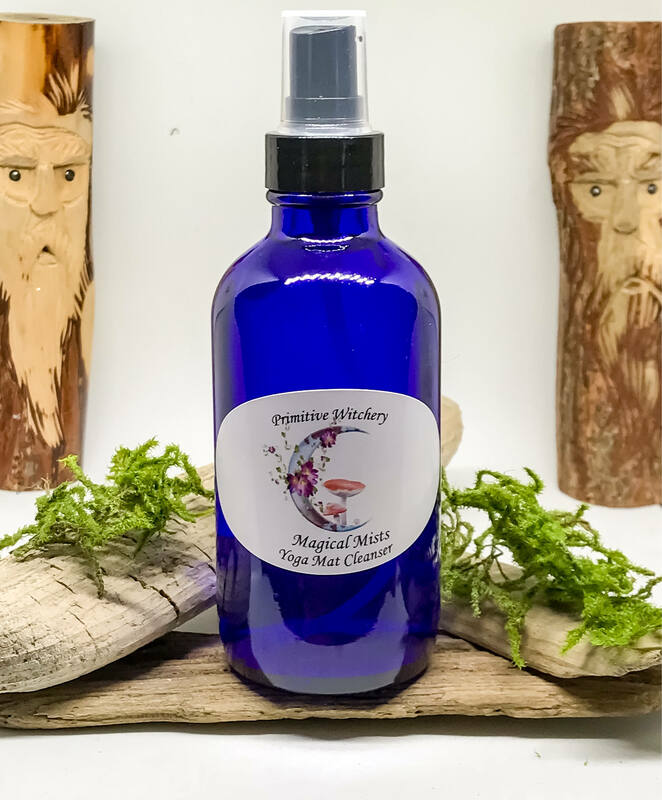 You can use this as a body mist, linen spray, room spray, or sacred area spray. It comes in a large 4 oz blue glass mister bottle, or a smaller 2 oz blue glass mister. The base of this one is spring water and witch hazel. Lavender: antiseptic, antifungal, calming, relaxing, balancing.